Penguin at Boulder Beach, Cape Town, South Africa, March 2013. I set this photo as my desktop wallpaper a couple days ago, and that seems as good a reason as any to share it. This was taken on our first game drive at Londolozi. Another photo from the vault. The direction of the sunlight made the original black and white conversion I did in Lightroom look washed out. I re-edited this with Silver Efex pro, and the harsh highlights have been minimized without losing detail. I decided to go back and re-edit some old photos, as I wasn’t inspired to get out and shoot this weekend. 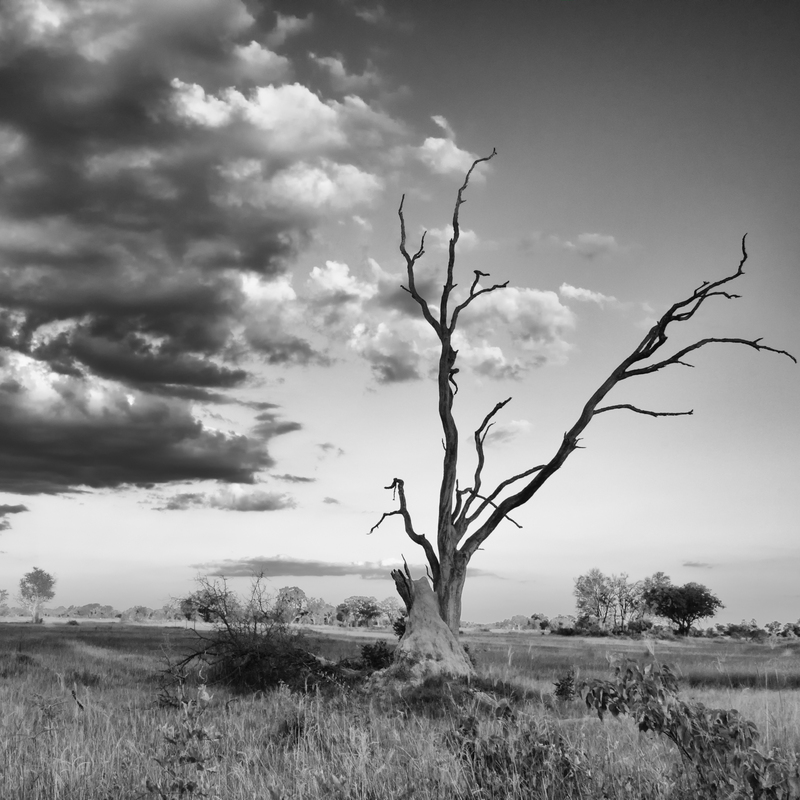 Here is a photo taken at Chobe Park in Botswana while on a boat tour. I see lots of possibilities for editing it. Base image, with only basic Lightroom adjustments for chromatic aberration and lens profile correction. To me, the elephant at the far left of the photo looked out of place. I cropped it out, and edited the photo with Colour Efex adding a polarizing filter effect. For the edit above, I used the same polarizing filter effect, but cropped in just to focus on the elephants crossing their trunks. Finally, I did a black and white conversion with Silver Efex Pro, on a cropped version of the photo showing several elephants with their tusks in alignment. I added in vignetting and a border to help obscure the elephant far right that was heading out of the water. The weather on the weekend was not conducive to having my camera out, and none of my indoor projects have inspired me this week. So, I decide instead to experiment with new software on a photo I have worked on before. I’ve edited this photo a few times, but recently purchased Silver Efex and wanted to see the difference in using that compared to Lightroom for a B&W conversion. I am very happy with the results.